Use novelty chocolate candy molds for making special chocolate candy for your party or special event. You can buy molds in almost every shape imaginable. I really love chocolate molds. They are so cute and clever. You can really impress your guests by making your own party favors themed with a special design that suits your party theme or a special hobby or interest. When I was a kid there seemed to be only a few choices when it came to novelty chocolate candy molds. Not anymore. 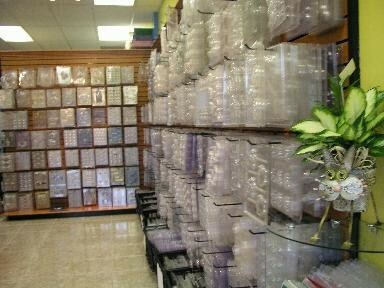 My favorite mold supplier Candyland Crafts, has over 2000 different molds from which to choose. Can you imagine my delight as I browse through their online catalog? I also love the novelty chocolate molds available at One Stop Candle. They don't have nearly as many, but still a nice selection. Know what? If you can't find the particular shape you want for your chocolate novelties, Candyland Crafts will make up a custom mold based on your description. How's that for service? Just to get your creative juices flowing, I wanted to give you a few more ideas of the kinds of molds you can expect to find. Don't worry. It is so easy to make chocolate candy from molds. Just follow the simple instructions on how to mold chocolate candy and it will be a breeze. For even more fun, order some of the colored melts and get a package of mini paint brushes to "paint" in the details on your molds before filling them up with your chosen white, milk, or dark chocolate. This is a great idea for a party activity, too. It doesn't take long for the chocolate to set. You can judge the novelty chocolate candy the young people make and give a prize for the best. You can also provide little cello party favor bags so they can take the candy home as the party favor. I think you'll have to agree that novelty chocolate candy molds are a simple, economical, and fun way to make wonderful chocolates for any occasion.